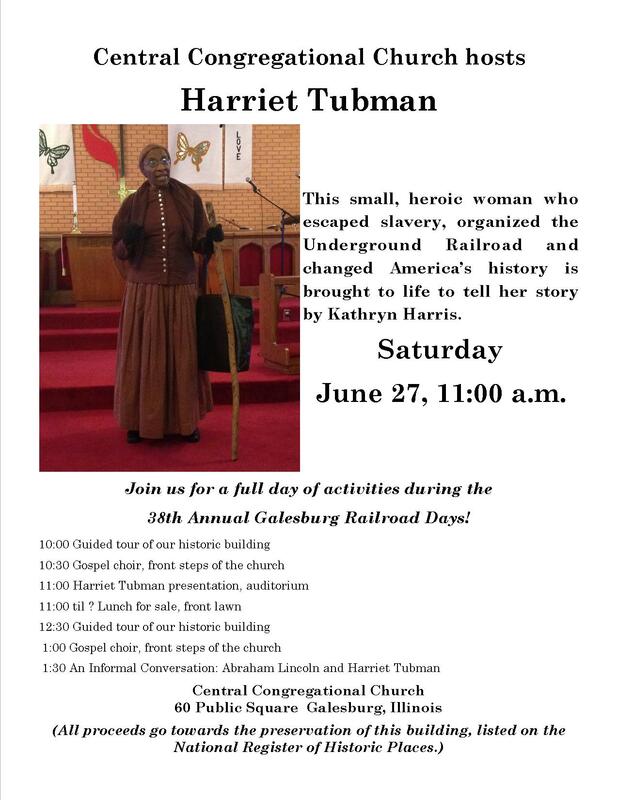 “Harriet Tubman” will be at Railroad Days! We are delighted that Harriet Tubman, as portrayed by Kathryn Harris, will be a part of the festivities at Central during Railroad Days 2015. Please join us on June 27 for a day of remarkable activities and fun!